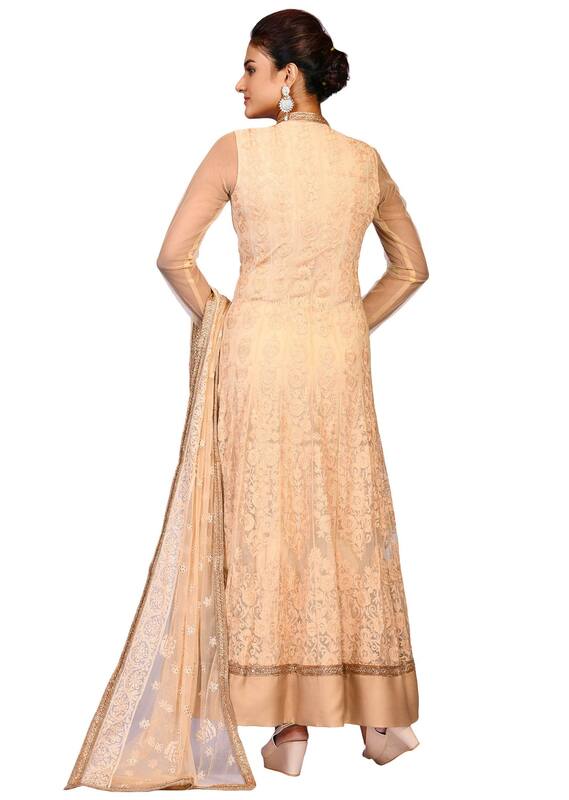 The tussar aari suit is featured in net fabric. 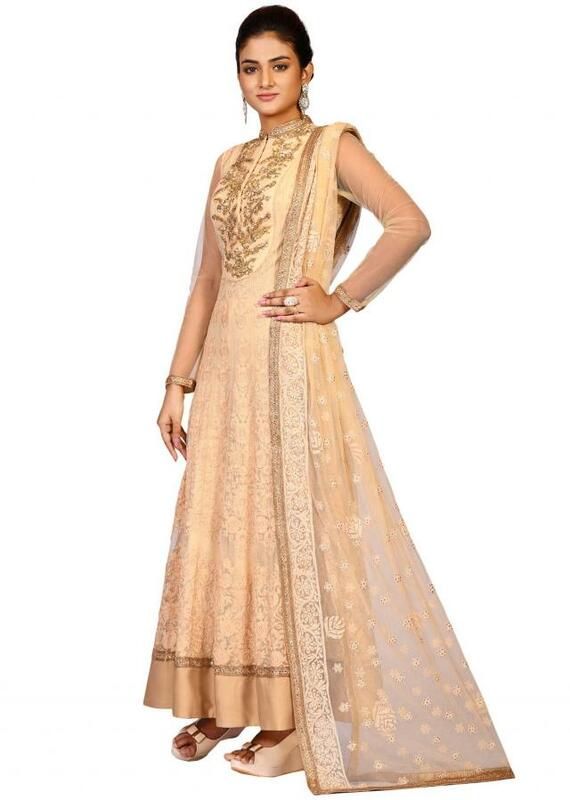 It is intricately designed using the thread and antique embroidery work. 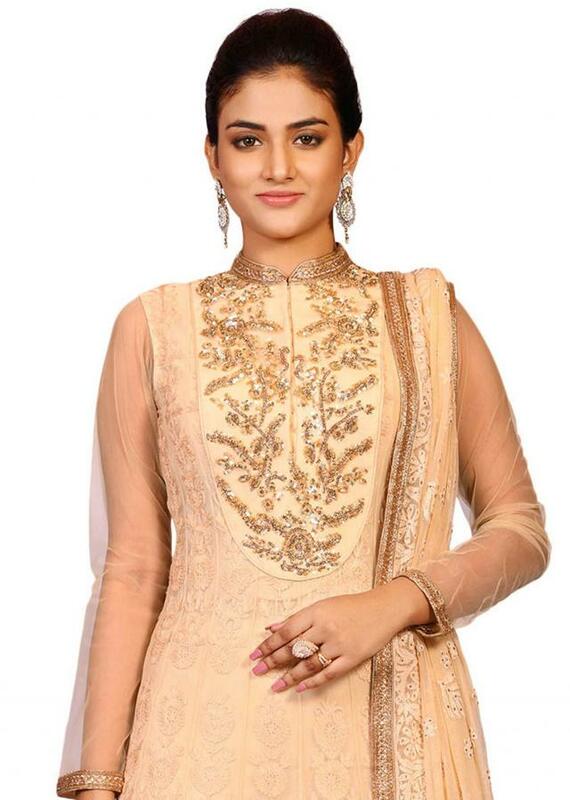 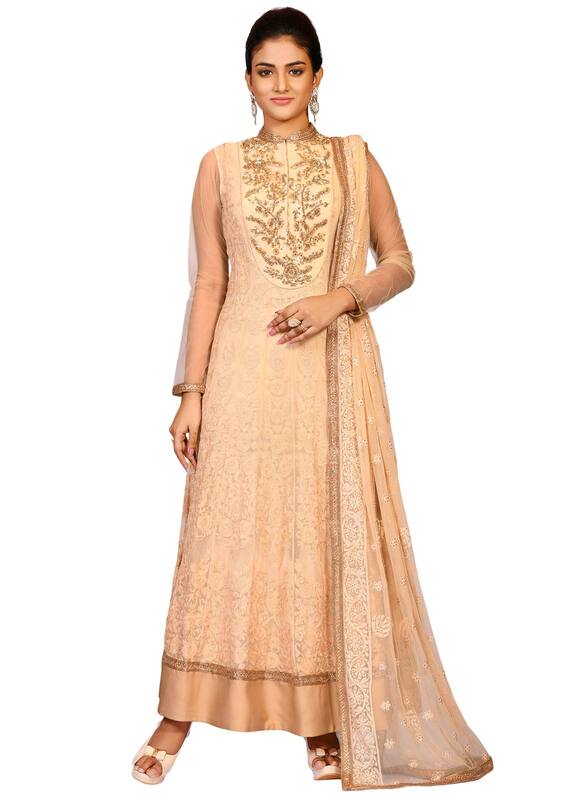 Matched up with a dupatta in beige color which has thread embroidery with golden embroidered lace at the borders.